BbWorld16 – Building student connections when teaching high enrollment online courses. Week Zero: Do not assume students will already know how to learn online. Welcome them to the experience. Create a warm, supportive environment where they can learn. Send an introductory e-mail through blackboard before class begins. Include a short 5 minute or less video introduction that introduces you and the class, setting a positive tone. Let students know when the course will open (first day of class) and when their first assignment will be posted/due. Establish predictable patterns: For the student, an established pattern of course activities allows for planning and management of other non-course activities around their online activities. 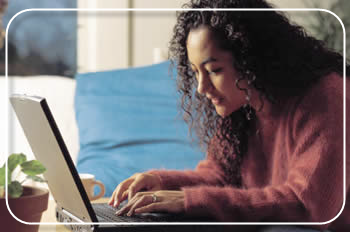 For the instructor, establishing and communicating a course schedule and pattern of work serves to define the boundaries between the online class and the rest of life. Acknowledge that life happens and consider awarding one “late pass” over the semester. Include “what’s in it for me” information in the introductory e-mail. Have students post about themselves in discussion board/blog posts/introductory activity. Post personal feedback to each student after their introduction. Keep notes that help you remember each learner’s interests, experience. Sort using ascending and descending feature in Bb Gradebook to send out “I bet you didn’t earn the grade you expected” or “Way to go!” e-mails. Keep it real-we are fallible. Don’t spend hours re-recording videos if there are minor errors. Post interesting info about your University and your community. Really think about how the Bb assignment and test tools can be used and about how assignments can be modified when used with high enrollment courses. Have Bb grade when possible but consider using at least one instructor graded item for each assignment. Create relevant assignments (focus on learning, not superficial (busy work) activities: Strive to create effective and efficient teaching and learning experiences. Create rubrics for assignments – student can then use rubric as checklist to ensure that assignment is complete and in some cases determine their grade. Don’t reinvent the wheel, link to quality resources. Encourage students to send you links to sites/material they found helpful. Teach students (video or screen capture) how to see if their assignment was received and how they can view feedback. Post video instructions for various assignments to increase engagement – discuss the previous week, discuss the current assignment and include tips for success. 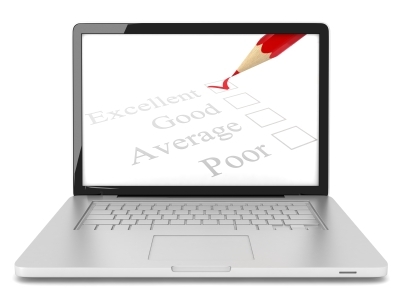 Streamline feedback – use audio/video feedback group answer keys, encourage personal responsibility for checking grades. Set and publish thresholds for receiving individual feedback. Use feedback templates. Save examples of excellent student work from a previous semester (get their permission to use) so students can see what the assignment might look like. Take Notes: Over the semester, note what worked well, what needs changes and identify “time drains”; plan ways for dealing with these. Refining course management should be a continual work in progress. If you’ve been teaching with the Blackboard LMS for any length of time, you will know how annoying it can be to find your courses quickly when you take a look at your “My Courses” module upon logging in. Finding your current semester course can be like a game of Where’s Waldo if you aren’t careful. It doesn’t have to be that way! Did you know that you can streamline the “My Courses” module by sorting how the courses are arranged and limiting the amount of courses that are displayed? Place your mouse over the top right hand corner of the My Courses module header and click the gear that appears. Group By Term: Selecting this will allow you to organize your courses by term. Show Term: Selecting this checkbox will show the term. Expand Term: Selecting this checkbox will expand the term when displayed (Note: in the image below Summer 1 2016 S1 Online is checked and No Term Assigned is not. Reorder: Click the icon to reorder your courses. 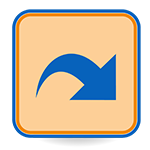 Drag the icon to bring your courses to their new spot. Course Name: Deselecting this checkbox will hide the course. Course ID: This checkbox (when selected) allows for the display of the Course ID before the course name. Instructors: This checkbox (when selected) will display all of the instructors for the course. Announcements: This checkbox (when selected) will show course-specific announcements below the course name. Tasks: When this checkbox is selected, course-specific tasks will appear below the course name. *Note: You can also link to courses you teach in other Learning Management Systems by placing the Course Name and URL in the Course # Name and URL boxes that display at the bottom of the Personalize: My Courses page. The size of course intimidates your students. The same document in multiple places takes up space and clutters the course. Large images take forever to load and..
Take up valuable visual real estate on handheld devices. The more items in your course and LMS, the slower it operates. Keeping these things in mind there are steps you can take to manage your online courses so they don’t become overwhelming, unnavigable, burdensome and out of control. Step 1: Keep your course organized. One of the easiest ways to think about your online course’s health and well being is to keep it organized. Traditionally when we think about our courses being held in an LMS, we think of our course as having large containers that hold different types of content like assignments, tests and course materials. This can be an easy way to think about organizing at the beginning, but the end result is that over time, these buckets become catchalls or laundry lists of everything you’ve ever added to your course. This causes your students to suffer from over scrolling and to constantly search for important information and activities. Another side effect of this particular organizational method is that it causes the instructor to have trouble determining whether or not they put “that file” in the course. Instead of large “buckets of information”, why not think of chunking them across topics, or by time. That way, all of the information and activities that a student will need to interact with during a specific week or around a particular topic is located in the same space. By organizing your content, you make it easier for you and your students to find what you are looking for and reduce the ‘laundry list’ effect. Step 2: Use Course Links to cut down on content cloning. The next step in our online course weight loss plan covers the use of one particular document in different places throughout your course. Whether it is a special rubric, a project guideline or just something you want available easily for your students, it is natural to just want to add the document where you need it. Over time, you create multiple versions of the same document that just adds extra weight to your course and makes your list of course files hard to deal with from a file management perspective. Most learning management systems provide a way for you the instructor to “link” to the document in question wherever they are in the course. Here at Sam Houston State University, we use Blackboard and it provides this ability via the Course Links content item. Course Links allows instructors to link to files, content items and course activities anywhere in their course. This way, an instructor only has to add 1 instance of whatever it is they want to use throughout the course and link to it from other course areas. 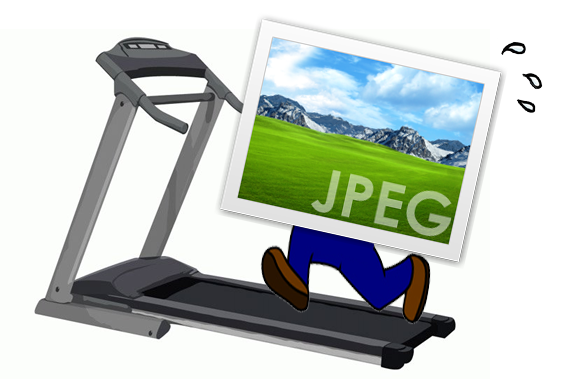 Step 3: Reduce the size of images BEFORE placing them in your course. By now, we are all familiar with the fact that adding contextually relevant images to your course is a best practice. Course images engage your students, stimulate different parts of the brain and break up what would otherwise be an ocean of Times New Roman or Arial text. The issue for instructors is that the learning management system does not provide a way to reduce the size and weight of the image prior to placing it in a course. It does not allow you to change the “visual appearance” of an image by resizing how the image looks, but this DOES NOT reduce how much space the image takes up in your course or how long it takes a student on their computer or mobile device to see the image. The good news is that almost every computer comes with a software that will help you change the size and weight of images before you place them in the course. In most cases, once you are in the software reducing the size of the images automatically reduces how much drive space they takes up. Below we will provide a few links to helpful how-tos on the Internet, but you can always google the topic and find what works for you. Step 4: Use streaming services and Internet links for videos rather than uploading them directly to your course. One of the most effective ways to engage your students online is to employ videos along with learning activities throughout your course. Videos add another dimension to your course that connects with your students and can be viewed on whatever device they may be utilizing. The best practice for how to leverage videos in your online course is to host them with a streaming service or link to videos already hosted elsewhere. Burdening your LMS with Gigs of video files will have a direct impact on your students, because the way they are hosted/loaded is not ideal for streaming on mobile devices or even computers. Also the more large files you add to your learning management system the more you can affect its performance. 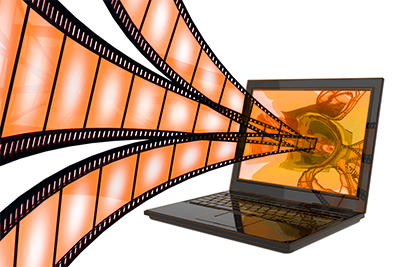 Fortunately, there is a great way for you to utilize video in your online courses while following the best practice. Just use other video hosts and provide links and embeds in your online course. Here at SHSU, Blackboard has the ability to directly embed YouTube videos in your course while leaving them hosted in YouTube. It does this via the YouTube mash-up and the Video Everywhere tool. We also utilize Kaltura for video/lecture capture and screen recording. Blackboard employs a Kaltura mash-up and content building tool to place these videos/screen recordings directly in your course content. Teaching an online course can be intimidating in its own right. Make it easy on yourself. 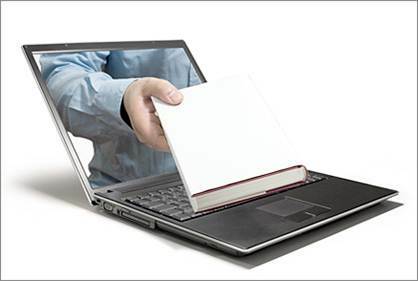 Keep your course in “eLearning shape” by ensuring your course is properly organized, providing links to course documents you want to use in multiple places, reducing the size of graphics and pictures before you insert them in course content, and using streaming services and internet links rather than uploading heavy video files directly to your course. These aren’t the only steps you can take, but they are a great place to start. We all know that teaching online requires instructors to think differently about how their course is delivered. While the methodologies of learning are still in play, the online medium requires you to proactively account for multiple learning strategies when putting together, delivering and interacting with your course and students. Online instructors fortunate enough to work in departments who provide Teaching Assistants, feel like they have a lifeline in this strange “new” online world. However, the fact that you have a Teaching Assistant does not make the stars align, world peace occur and automatically make everyone fall in love with your course. There are some things to consider about utilizing TA’s in your online course that can make the overall experience more successful. We like to think that the next generation is more “plugged in” and that they “get it” (whatever “it” may be) when it comes to technology. While this may be true for their smart phone (Let’s take a selfie! ), it does not guarantee immediate understanding of your institution’s Learning Management System. This is why it is important to put your TAs/Doctoral Fellows through the same kind of technology “how-to” sessions that are available to you as a faculty member. At Sam Houston State University, TAs/Doctoral Fellows have the option of participating in any of the teaching online certification programs, which provide a strong base for starting out on the right foot, particularly for those who will teach online courses in the future. These technology development efforts help increase course interaction, engagement and ultimately satisfaction for both instructor and student. Each one of these plays an important role in student satisfaction as well as student success. With online class size growing, it does become more challenging to engage every learner in the student/instructor interaction more than a few times during the course. TAs can play a very important role in helping to increase student/instructor interaction, as they fall under the “instructor” umbrella in this equation. You can assign your TA to work on specific discussion forums within the course to provide feedback, answer questions, or to gently nudge students in a particular direction to ensure objectives are met. This ability to flex your teaching assistant is not limited to discussions. They can help out with blogs, wikis, web conferences and more. This can help increase the one-on-one interaction time you provider learners throughout the duration of the course. There are only so many hours in a day, so many days in a week and honestly, there is such a thing as a work/life balance. Leverage your TA to help with office hours, web meetings and other times where you may be spread too thin to be in two places at once. They can also help with answering “virtual office” or “general questions” discussion forums if you are at a conference, out of town or fulfilling research requirements. More than likely, you have a place in your course where you introduce yourself to the class. It may be in your Virtual Office area or in some other spot. It probably has a picture, some contact info and a brief bio. This would be a great place to add a second item that introduces your TA to the online students. That way when students see discussion replies, grade book feedback and more, they will know who it is from. Making the course more personal for your students is always a best practice. Connecting your students to you and your TA will allow the students to feel like that they “know” you and this is especially important when it comes to online feedback. Once a course is developed, where is the one place where you may spend most of your time in? The answer is overwhelmingly, the grade book. A well-used grade book or grade center can make the difference for you, as well as for student success and satisfaction. Gone are the days where students would check the door to the classroom twice a semester (midterms and finals) to figure out how they were doing. Nowadays, students receive updates on their phones when an assignment in their course has been graded, when an exam grade has been posted, or when their group projects have been evaluated. Leveraging your TA to help with the grade center can help decrease grading turnaround time and increase the amount of times a student receives personal feedback on graded items in the course. Any LMS worth its salt has a Rubric tool that faculty can employ to ensure grading guidelines are followed down to the individual criterion by the teaching assistant. Even if you limit your TAs to a particular number of assignments to grade, it will help with the amount of grading you have to do and the amount of time it takes to get that grade to the students. TAs add value to what you are already doing in the online course. They are an important supplement and providing them with technology skills, leveraging them to increase student engagement, introducing them to your students, using them to increase instructor presence and empowering them to enhance feedback with your grade book are best practices that can contribute to success and satisfaction for you, your students, and your online course. NBC Learn is a rich and unique resource that provides thousands of historic news reports, current event stories, original content, primary source documents, and other digital media specifically designed to teach and engage students. 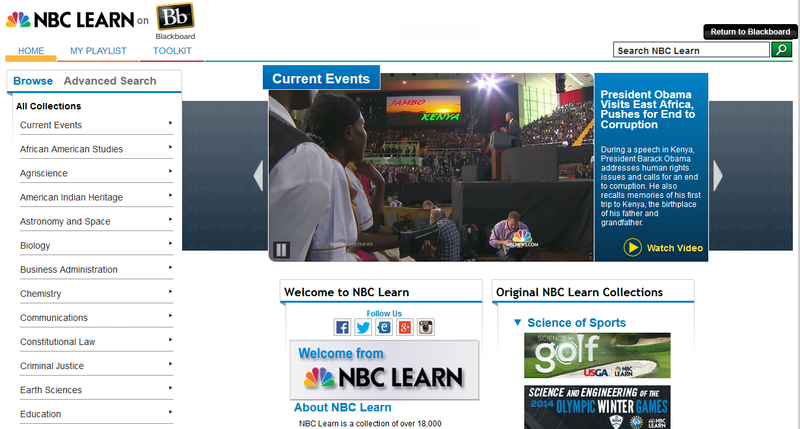 NBC Learn content can easily be downloaded for offline use or connected to your institution’s Learning Management System, which in my case is Blackboard. Education is not a given in everyone’s life, but it should be! Change is needed – we have wide-spread acceptance of this fact. 98% of college/university president said that change was needed and 67% said that the change needed to be disruptive, incremental small change is not enough. What do learners look like today? How do they behave, and what drives them? Our change needs to be based on understanding the people for whom our education systems exits. Essential part of college experience should be networking with future employers, at least help in getting interview. More than likely students will graduate high school not knowing how to write a check, a resume, invest in stock market. Adaptability and flexibility of the institution is key! Taking courses where they are best offered, if your institution can make recommendations based upon student learning styles. (military vets) Competency based learning model is a good fit for this! What are you prepared to invest and what will you get out it? Is it affordable for you? Unique needs of learners should be met – all types of disabilities, Institutions should provide training for instructors on how to engage. Not enough counselors per student at secondary level. Half of course grade is “Did you attain goals you set during year” – Reflection paper more critical thinking in learning. Recognition that education is about the students -> starting to be seen more an more. We are learning with/from people who half-way across the world. We all need to do a better job of understanding and sharing the educational experience. Some don’t think it will change like it should. More discussions and panels of these types of challenges/barriers. Teachers becoming facilitators of learning! If you want to learn it you should be able to! Problem with scheduled training classes is low attendance. Wall of different software with handouts for each at the lab. Go and get the exactly the information you want, right then. Find experts in tech that wouldn’t mind being available to answer questions for the buffet-style training. Have floater walking around touching base and asking “Did You Know” questions to direct faculty to appropriate drop-in group. Send images of software offered in press release and let faculty know that they can think of questions before hand. Success: More served immediately, increased exposure, improve meetings, creating unique solutions, bridge of creativity, positive feedback! 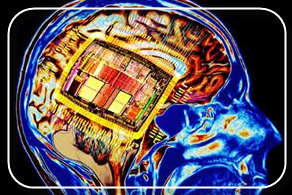 Future: In Conjunction with faculty symposium, include other trainers/topics, additional space.